Are you an active student? What do you think an active student does? In your mind who is an active student? When I tell people, subtly, I am part of the Open University North West Regional Assembly Executive they look at me with confused and dazed expressions. ‘Oh right. What is that?’ they say. Let me tell you, it’s a great title and it is a great role. There are so many ways you can get involved with student life, even though you are probably a million miles away from campus and fellow students. Well not entirely. In fact some of your fellow students could be right on your doorstep. For me, I wanted a challenge. Take a role and stick at it. I have done so far. Plus why not make the most of the distance learning experience by going beyond studying. Effectively, the Regional Executive is a group of elected students that helps in running the region. Whether it be the North West or East Midlands, there are groups across the UK and the world. It can be a little daunting at first, getting involved and not quite know what you are doing. Getting your feet under the table is step number one. Step number two is knowing what to do. Maybe I haven’t quite mastered the latter just yet. In the few months I’ve been in the role, I’ve held an online meeting, welcomed students to a face-to-face meeting, set up the @OUstudentsNW Twitter feed and things seem to be taking some sort of shape. There are lots of exciting things ahead – consultative meetings where the student voice is heard; training sessions; and some more social events and discussions. You can do anything to become an active student. Writing for the OU magazine, coming along to a meeting or posting in the forums, engaging on Twitter, helping out at graduation ceremonies or even volunteering to help other students. There are societies and groups at http://www.open.ac.uk/ousa which you can join. If none take your fancy then why not set one up yourself. You never know, it may just catch on. To me, the student voice is very important. I enjoy reading comments on the forums about ideas and suggestions for the region. Better still it’s great to interact with some of the OU’s newer students and show how anyone can get involved. If you have any ideas about events, groups or ways to raise money for charity then feel free to contact me or the OU Students Association. You may not want to meet face-to-face or you may simply not have the time. Head over to the online forums at http://www.open.ac.uk/ousa and you can chat with students from your area, take part in lively debates, or even just say hello in the Welcome thread. On Facebook, there is a great presence as well. http://www.facebook.com/OUstudents is the place where you can interact with the student association. A simple Facebook search can reveal lots of groups set up by fellow students where you can chat in a less formal set-up. You may just find groups for your local area, some online clubs or people from your own age group. Head over to Twitter where you can simply be overwhelmed by the thousands of students who have an online account. @OUstudents is the one to follow if you want all things from the OU Student Association. There you may also find others interacting and following. Why not give them a follow and build the student community. You’ll also find dedicated accounts to certain subjects such as the arts faculty and the sports department. 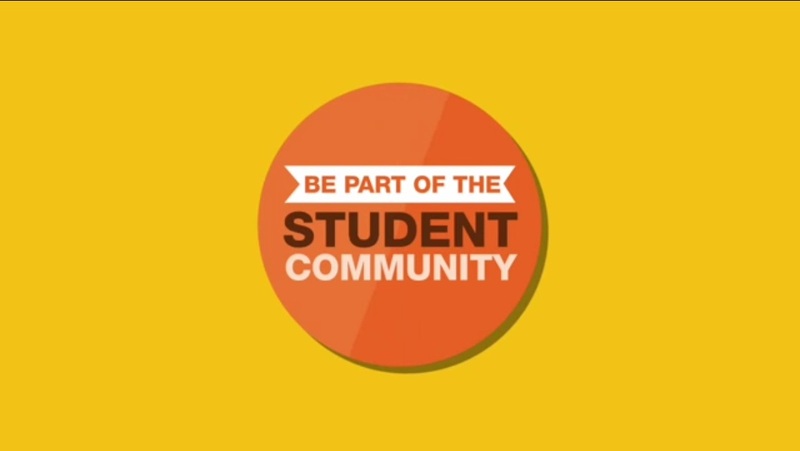 The Open University Student association in your region also have accounts. @OUstudentsNW, for example, is OUSA in the North West. For you – why not visit http://www.open.ac.uk/ousa for all information on getting involved or simply say hello in the online forums. You can also follow the Twitter accounts and Facebook to join the growing OU community. For me – I’ve got a newsletter to plan, students to listen to and ideas to gather. If you have any ideas or thoughts please contact me. As one of Britain’s most popular regional titles, the Liverpool Echo is far from simply a local newspaper. It is an institution and is regarded highly amongst Merseyside culture. Last week I had the grandest of pleasures by spending a week in their newsroom. I am no stranger to the newsroom. I had spent two weeks at the newspaper a few years back and so I was fascinated to find out if anything had changed. In short, not a lot of changes. Reporters come and go, the office carpets are still the same colour and there is a distinct lack of natural daylight in the newsroom. Nevertheless, I set about a weeks work placement. Here’s my account. I was apprehensive. Near enough every time I head on a placement I run questions through my head about certain eventualities. What if this happens? What if? Soon, these questions simply vanished as I made my way to meet with Chris Walker, Trinity Mirror North West Managing Editor, knowing that as quick as the week starts it will be over. The first day was consistent of the great health and safety story. But soon I was sat amongst ringing phones, tapping keyboards and slurping coffees. Much of the day was simply spent writing press releases in to short pieces that could be printed out. I knew from previous experience that it would be good to create my own stories and put them forward to the editorial team. So I did. Before leaving the office the day before, I suggested to the editorial team that I could write an article about The Open University and perhaps a short panel about my experiences. They were happy to oblige. As morning came and soon disappeared, I was glued to sending emails to The Open University press office regarding the number of 17-25 year olds taking choosing an OU course over a traditional university. I checked facts, took quotations and prepared an interesting story that I had created. Midweek had arrived. The final pieces were put together for my Open University articles and send to a queuing order where their publishing date would be determined. I followed up two different leads on this day. One about Miss Teen Great Britain and another about noisy engineering works close to a local railway station. It was a case of ringing and emailing for more information so I could at least write a few hundred words. A few press releases later and few chats with reporters in the office and I was off home again. My piece on The Open University was published on Monday 5th May. Nearly the end of the week. A week where I had to beg members of staff to swipe me through various gates and barriers to reach the ECHO newsroom. I had some responses to the emails I had sent the previous day. The morning was spent detailing and preparing a story about noisy workers on a local railway line. Quotes from the man who had contacted the newspaper included how “residents were up in arms”. After a discussion with the editorial team, it was deemed there wasn’t any real need to head down and get photos of the angry residents and so I put in a call to Network Rail for a response. They were happy to help and so another story was added to the queuing batch. The PM was spent writing some more shorter articles. One about a scarecrow competition in a local village I had spotted on Facebook and the others from the Liverpool City Council website about young people’s bus fares. As Thursday drew to a close, tomorrow would be the final day. And it would provide real excitement. I had spent a few minutes reading through various articles on the Jeremy Clarkson racism row which had erupted the night before. The presenter had issued an apology but many were calling for him to be sacked. Amongst those who had commented on the case was Liverpool Walton MP, Steve Rotheram. Initially I thought that it would be a pointless exercise telling the editorial team about his comments. Surely they would have followed this up already. They hadn’t. There were some confused faces. Questions were asked about what he had said. 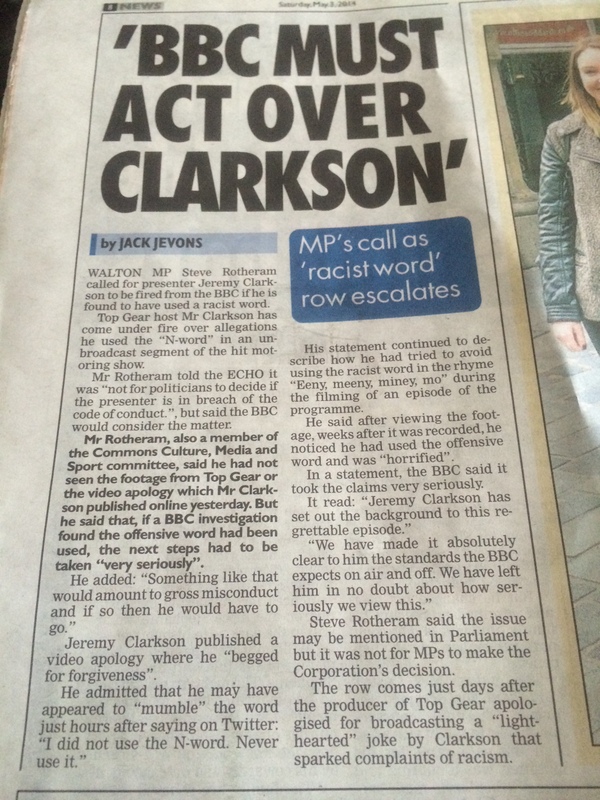 Soon, “Rotheram has called for Clarkson to be sacked” was ringing around the editorial desk. I was given the assignment of speaking to the MP, gaining some reaction exclusive to the ECHO and filing a report in a quick turnaround. The buzz was fantastic. I had found a real newsworthy story which the editors wanted. Soon I was on the phone to Steve Rotheram. I simply said I was from the Liverpool Echo, although now he may know I was simply a twenty year old work experience student. Within minutes, I had quotes of “gross misconduct” and that the BBC should be taking the allegations “very seriously”. I sourced the information on the case from what I had read about earlier and from the video I had watched the night before. 500 words later and the report was online. BY JACK JEVONS read the tag and I was immensely proud. Returning after lunch, I made time to thank the editorial team for their time, patience and efforts over the duration of the week. 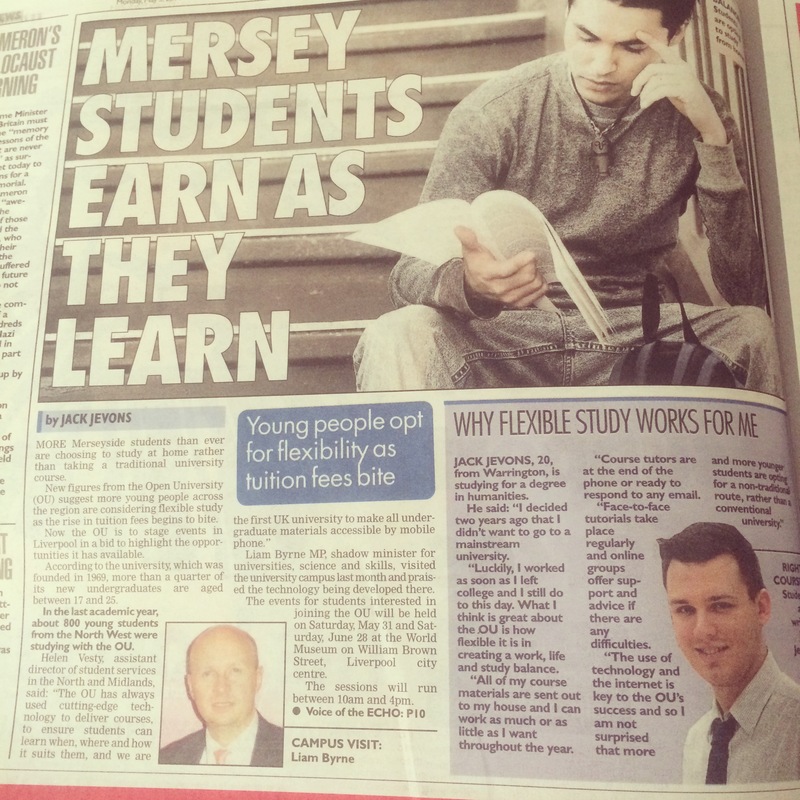 I was told my articles would be printed in the Liverpool Echo over the bank holiday weekend. A short article and a chat with a senior journalist later and I was off. Heading home after a week experiencing the true lights of a multi-media newsroom. The pace can change quite rapidly and so I knew I would be in for a few quiet periods. However, the excitement and buzz of preparing and writing a major news story which I had found was the greatest highlight of my week.